By the end of this year, the foundation of Jewar International Airport at Greater Noida will be laid. Before that, the agency to build the international airport at Jewar will be selected too. The same has been conveyed by the Chairman of Yamuna Expressway Industrial Development Area (YEIDA), Prabhat Kumar, to Uttar Pradesh’s Chief Secretary Rajive Kumar. The Gautam Buddh University is preparing a social impact assessment report on the orders of the State Government. PricewaterhouseCoopers is preparing the Techno-Economic Feasibility Report (TEFR) for the project and the report will be submitted in next two months. PCW has also been asked to prepare the bid documents to select the developer besides finalising the master plan and the financial model. The first phase of the airport will cost nearly Rs 2,000 crore. It will take 5-6 years and the total cost of developing the airport will come at Rs 15,000-20,000 crores. “We have discussed how the project can be fast-tracked and the timelines set.I have also asked officials to remove any roadblocks that might come in the way of the project besides putting into place any infrastructure project linked to the airport in a time-bound manner. The proposed airport must not face any delays,” said Kumar. 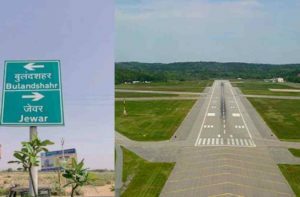 The Ministry of Civil Aviation has already cleared the way for the Jewar Airport.